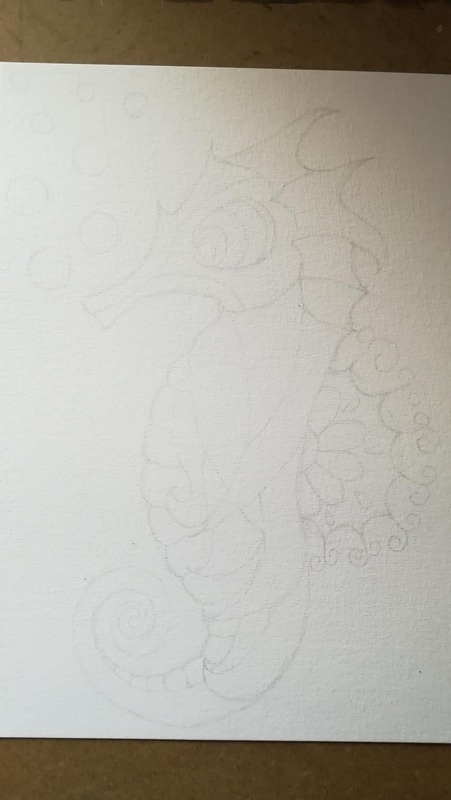 A simple seahorse drawing that I drew right after lunch today! It’s a long holiday in Malaysia due to the Chinese Lunar New Year. The best thing about living in a multicultural country is that we got to enjoy lots of public holidays. This is due to the different festivals we are celebrating as a nation. So since I don’t celebrate Chinese New Year, I have the opportunity to spend more time to create art. My husband is at home and he is able to help my daughter with her school work. Usually, I am the one who tutors her and we typically finish that around 4 or 5pm which means I have lesser time to spend on my art. But today is different as I was quite free right after lunch which was at 2 pm. 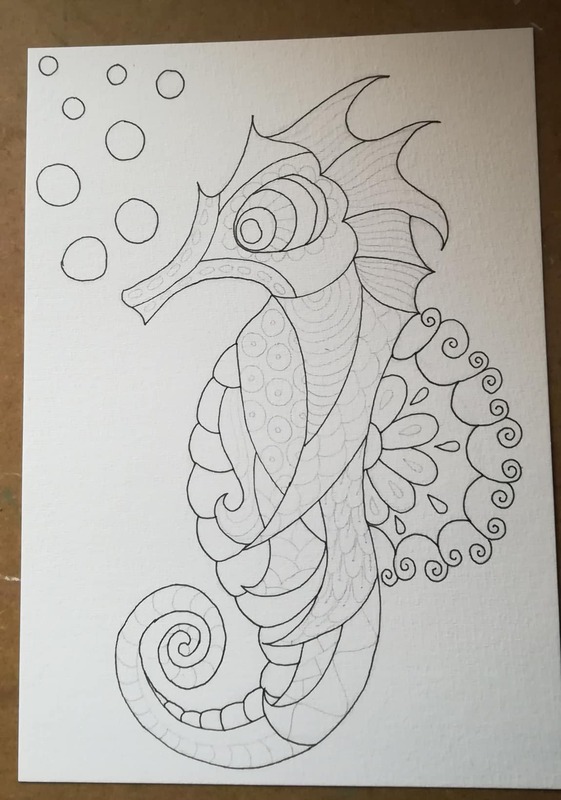 It took me a couple of hours to draw this simple seahorse drawing. I wanted to work on a new drawing series involving marine life. There are quite a few animals in my mind and I will post them here on this blog in the coming weeks. I sketched the drawing in pencil before “outlining” it using fine liners and markers. I plan to color it tomorrow though. The completed drawing has been scanned and digitally enhanced and now it is available in my Gumroad store as a printable coloring page. 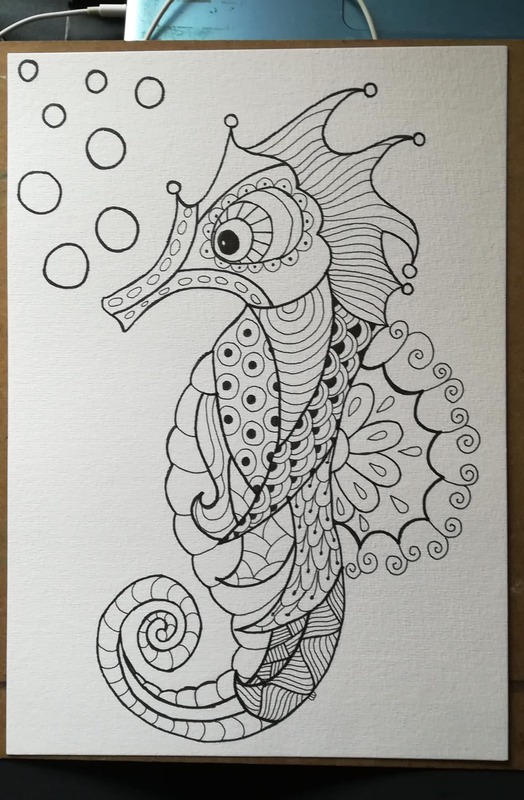 You can purchase this simple seahorse drawing in my store here: seahorse coloring page.